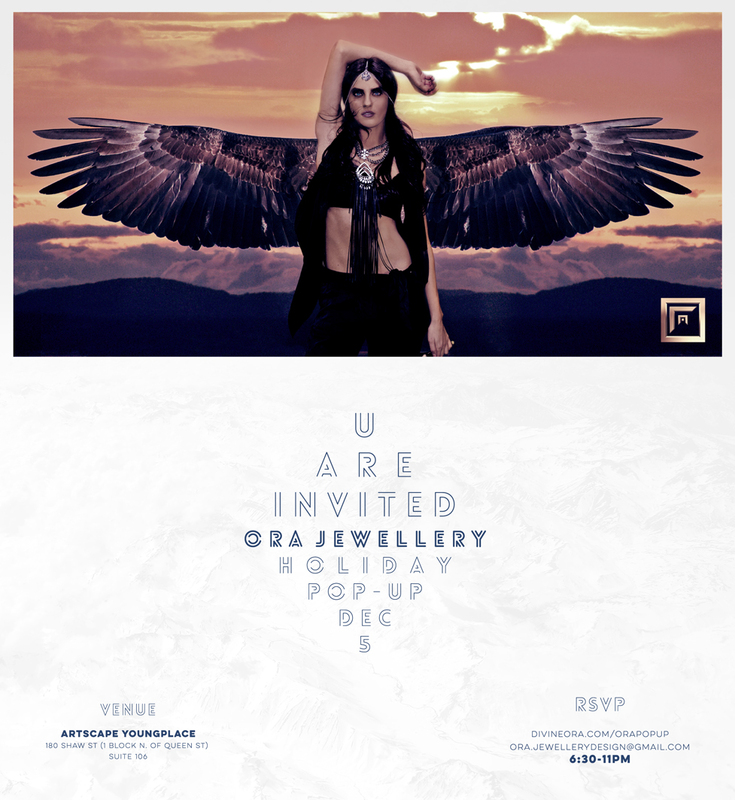 On DECEMBER 5th, ORA Jewellery hosts the official launch of DIVINEORA.COM with a Holiday Pop-Up Event. Be the first to purchase these one-of-a-kind pieces from the ORA Collection before they’re available online. A wide array of necklaces, body chains, hand & head pieces will be available + you’ll have an exclusive first look at some of the newest creations. Enjoy complimentary hor d’oeuvres & drinks as you browse the collection while the sweeet sounds of dj’s LEANNE (L.organa) & FILLY get you into your holiday groove.